A loss in 2nd game of Day, but well contested throughout. Last day of the season brought a double header against Roundhegians and Morley. Second match of the day was against Morley, again on the No 1 pitch overlooked by the Roundhegian clubhouse. Morley brought a big well drilled side for their first match of the day and were quickly into their stride with running rugby from both backs and forwards. The size between the two sides was noticeably the difference between the two and Heath spent most of the first half with minimal possession and defending, leading to a half time score of 24-0 to Morley. The second half started in a similar vein although there was a good period near the end of the second half where the Heath boys were able to secure more possession and start running the ball with good work out wide from the backs. The forwards had a lot of work to do in tackling the larger opposition pack and stuck to the task as they have done all season. 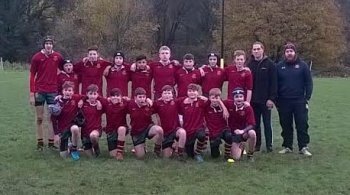 Morley ran out winners at 43-0.